The commercial dronemarket has come of age in the past five years or so. Today’s drones carry high-definition cameras and advanced tracking software making them suitable for all kinds of commercial tasks including powerline inspection, forestry management, weather reporting and, of course, mapping. 3D mapping is perhaps the most accessible of these features, with today’s drones able to map large areas quickly and cost-effectively. To get this information five years ago would have required renting expensive photographic equipment and an aircraft to overfly the area, making it cost effective for only the largest multi-million-pound projects. Today, by using the latest drone mapping software and a little practice, high-quality aerial maps can be created by any competent drone pilot. These can be used by a number of industries, including construction, surveying, mining, building inspection, forest, and agriculture to create high-resolution mapping and imagery in real time. This enables farmers to better plan crop rotation, allows insurance companies to assess damage to buildings without endangering life, enables forest management companies to monitor tree crown delineation and helps architects to create an accurate 3D map of the topography of a site for planning consideration. So now you know how useful 3D mapping software is and how various industries can use it, what are the best 3D mapping solutions available for drone operators? To help you make an informed decision we’ll take a closer look at the top 5 drone mapping software solutions on the market. These are the five biggest players and we’ve assessed each platform for its image quality, ease of use, range of features and drone compatibility. So without further ado, let’s get started. Pix4Dis one of the most feature-packed 3D mapping software packages on the market. Unlike other software Pix4D has designed multiple versions for specific industries, including agriculture, surveying, civil engineering, and construction. The benefit of this is you get all the features needed to carry out the task of mapping for a specific industry. For example, with agriculture, detailed digital surface maps can be created allowing farmers to plan crop cycles and create more accurate yield estimations. Powerful feature-rich software with a range of versions available to suit specific industries. Can easily connect with industry-specific management platforms to help create yield predictions, profit and loss accounts, planning documents and detailed site plans. Technical support is also one of the best in the industry. Expensive for the casual user but the range of features available more than compensates for this. Due to its complexity, the software can be difficult to master for beginners. The professional version of the Agisoft platform is great for users seeking a well-rounded all-in-one 3D mapping solution. With an excellent 3D modelling engine aligned with panoramic stitching and support for fisheye lenses. 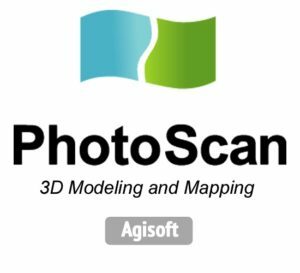 The Agisoft platform can take accurate measurements, create point clouds and digital elevation models with ease. The platform also has support for NIR, RGB, thermal and multi-spectral imagery so it has all the tools needed to create highly accurate 3D maps for structural engineers, architects, and GIS professionals. Cost-effective all-in-one software suite with a full range of image sensors including NIR, RGB, thermal and multi-spectral. The professional version creates beautiful clear imagery which is as good as more expensive software. All things considered, this is a well-rounded platform suitable for most applications. The software feels clunky to use and the support leaves a little to be desired compared to Pix4D. The one licence, one computer policy may also be a problem for some larger organisations. DroneDeployis one of the most popular 3D mapping solutions, with free versions available for download on the app store and Google Play. DroneDeploy is the perfect starting point for anyone wanting to explore drone mapping software. It also comes with a range of useful features. Despite being aimed at the consumer market the paid versions of DroneDeploy offer a range of sensor options which make it suitable for some commercial applications. There are three paid versions available, Pro, Business, and Premier which provide the ability to measure volumes or group control points and export data and images to third-party software including AutoCAD, Blender, and Rhino. DroneDeploy is a great platform for users who are just getting started with 3D drone mapping software. While the free version is too limited for most commercial enterprise uses. The paid versions do provide increased image quality and have the ability to connect with a wide range of third-party drone accessories and software. Propeller’s drone mapping software gives you the ability to measure and manage your site yourself. It features visual tools that you can use from any device, anywhere. Propeller Network is ideal for heavy civil and resource operations and helps you and your team to work better together to answer questions about site productivity and progress. Their system allows you to see earthworks progress, report on inventory, and track changes with 3D surveys. The data is captured quickly, safely, and cost-effectively. Propeller also has the incredibly handy AeroPoints. They are the world’s first smart Ground Control Point system and have been specifically designed for drone surveying. They are lightweight and durable and are already used in thousands of surveys in some of the toughest conditions. Pros: Propeller is ideal for team data collections, and is a quick and efficient data collection and management system. It also has data analytics that is tailored for your industry, as well as their AeroPoints feature. Precision Hawk is another platform aimed primarily at the agricultural sector. 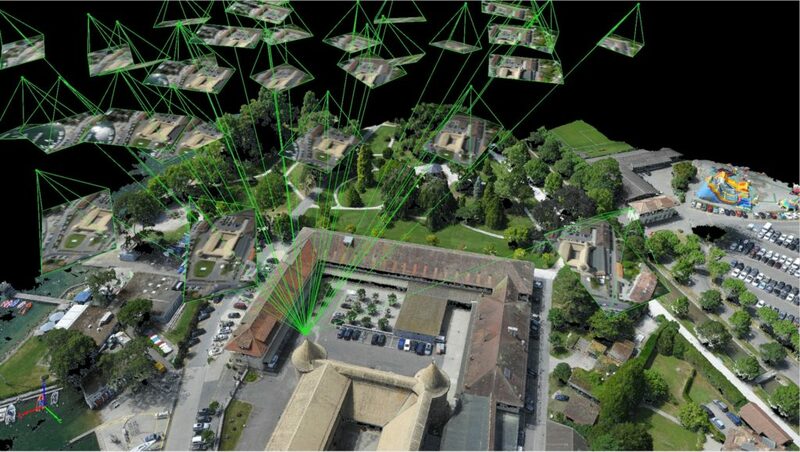 The platform offers a wide range of sensors and can produce maps in both topographic and orthomosaic formats. The company also provides a unique library of algorithms which can be used to process NDVI data. Allowing it to create detailed reports such as canopy cover, water pooling, tree crown delineation and field uniformity. This makes the platform particularly suitable for large-scale farming, insurance, and building inspection applications. With a large range of map options and data processing algorithms, Precision Hawk is the go-to choice for large agriculture, insurance, and energy companies. The platform is aimed at the enterprise market and can be difficult for inexperienced users to get their head around. As you can see, users are spoilt for choice when it comes to choosing high-quality capable drone mapping software. All the platforms mentioned here provide a very high level of quality 3D map reproduction and are compatible with the most popular drone manufacturers including DJI and Parrot. So which is the best drone mapping software? In our opinion, the Pix4D platform offers the best all-around performance across multiple industries. While it is not the cheapest solution it does offer a complete range of sensors and map options. It can be seamlessly integrated with back-office systems using the integrated REST API. The platform is also very intuitive and easy to use with support from Pix4D rated as second to none. So if you’re in the market for a powerful 3D mapping solution for your business, you won’t go far wrong with thePix4D platform. 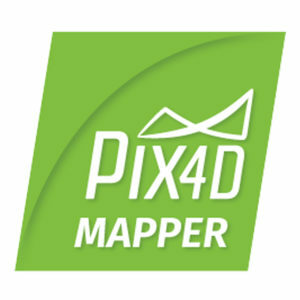 Pix4D is the leading UAV photogrammetry software, specifically designed for users who want to make 3D maps and point clouds from data captured during a drone flight. The COPTRZ 1-day Pix4D training workshop aims to give you an overview of Pix4D and how to use the software to give you the data output that you require. The workshop is ideal for those with no previous experience using the software.